The 2nd position is reclaimed by Ethereum as it overthrows XRP. With a market cap of $12.6 billion, Ether is trading in the green at $120. While, Tron founder, Justin sun cant stop taking another jab at Buterin after he announced the special campaign for Buterin in Valentines Day. After hitting its lowest point of the year at $83.30 in mid-December, Ethereum went up to $157.97 in early January. However, last week Ethereum has been trading around $100 only to spike along with the rest of the crypto market led by Litecoins 30 percent gains. Currently, Ethereum is down over 90 percent from its all-time high at around $1,440. 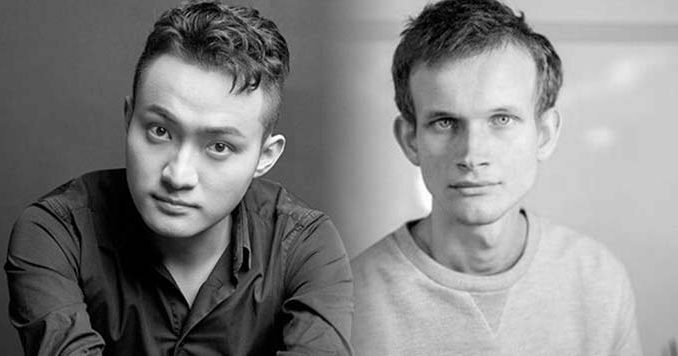 This isnt anything new as both Sun and Buterin never misses a chance to take a jab at each other as one crypto enthusiast quipped, Its dope to find out they talk on a daily basis….Id love to see these two come together and collaborate…. While another one had this to say, I look at these companies like a Coca Cola vs Pepsi. Both will prevail ETH and TRX. Well, Vitalik didnt go either and gave one right back.